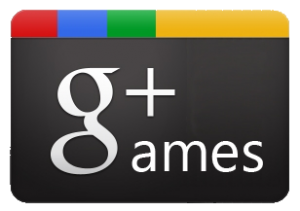 ShoutBloger: Social games such as Farmville and Mafia Wars may have been a game on Facebook, it seems the same title will be a major part of the Google plus as well. Based on reports and screenshots, it appears that Google's help page Google plus already makes a line of code to Stream Games are designed to be part of the updates together to bring the game. As quoted by TG Daily on Saturday July 23, 2011, Engadget found a code that refers to the new social network launched earlier this month. This code refers to the game known as Google Plus social game. TechCrunch Games then find the Google logo and the code for the link features Application programming interfaces (APIs). Google's Vic Gundotra then asserted that, The Company is currently working with a developer API for Google plus make the game on. Something quite interesting is to see that Google plans to take a 30 percent stake in Facebook game developer, to go home to Google servers. This can give game developers more profit. This could mean a big boost for social networking beta by attracting the attention of developers and their loyalty. In any case, all the above is a guide, plus a list of product managers work on new business so-called 'social games on Google plus' pretty much confirms the presence of games in the future of social platforms are currently being developed rapidly.